This is an interactive course like you've never seen before. It comes with a beautifully designed workbook coupled with cartoon animations that walk the child through the program. The purpose of this course is to encourage students to practice “free writing.” The student should write using his or her imagination. The facilitator (teacher or parent) should then help the student to practice writing with a beginning, middle, ending, characters, a problem, and a solution. The beauty of this course is that the student has everything they need. Give them freedom to work alone. Give them the freedom to have fun. 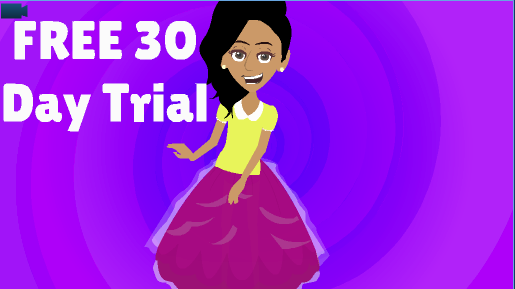 By accepting this kidYOU offer, your child receives a 30 day free trial...for the entire kidYOU portal!! That's right, you have access to all of the programs and all of the new programs as they are uploaded! After 30 days, continue to dive into your genius of emotional literacy, writing, speaking, and learning ways to own your amazingness right now. The investment is only $20 a month! The world is your playground! Let's start playing! Interested in a license for your classroom? The extraordinary membership includes access to all of the current courses and content on the platform, as well as content uploaded biweekly. Close your eyes and take a slow, deep breath! I L O V E YOU! It's an honor to be apart of the support system for your child. We are dedicated to sharing content and value in our newsletter that will generate emotional and intellectual growth for the entire family!